Gavin (gavinstephens.ca) of the MRD Podcast joins Daniel to see how well X-Men First Class holds up! The Umbrella Academy gets spoiled! Season 2 of The Punisher gets spoiled and John Campea gets addressed. Aquaman gets spoiled! Plus the 13 previously spoiled movies get a final ranking! Spider-Man: Into The Spider-Verse gets spoiled! Fantastic Beasts: The Crimes of Grindelwald gets spoiled! Ben and Daniel spoil the final season of Iron Fist! Ben and Daniel spoil Venom! Ben and Daniel spoil Mission: Impossible - Fallout! Ben and Daniel spoil Ant-Man and The Wasp! Ben and Daniel spoil Luke Cage Season 2 and Jurassic World: Fallen Kingdom! In the aftermath of Avengers: Infinity War Ben and Daniel share their top 10 lists for the best MCU Villains! Ben and Daniel spoil Solo: A Star Wars Story! Ben and Daniel spoil Deadpool 2! Ben and Daniel spoil Avengers: Infinity War! Ben & Daniel spoil Ready Player One! Ben and Daniel spoil Jessica Jones + Tomb Raider! Ben & Daniel spoil The Cloverfield Paradox & discuss what impact Netflix is having on the movie going experience! Ben & Daniel spoil Black Panther for their first episode on the Dork Shelf Podcast Network! Star Wars: The Last Jedi is spoiled @42:07! But first Ben & Daniel rank the other 10 movies they spoiled in 2017 @1:50! The "final" trailers for The Last Jedi & Justice league get spoiled! Ben & Daniel have Star Wars Tapas! The new DC Animated VOD release Batman & Harley Quinn gets spoiled! Game of Thrones S07E07 gets spoiled! Netflix's The Defenders gets spoiled! Game of Thrones S07E06 gets spoiled! Game of Thrones S07E05 gets spoiled! Ben & Daniel take turns casting the rest of Spider-Man (Tom Holland)'s Rogues Gallery! Game of Thrones S07E04 gets spoiled! Game of Thrones S07E03 gets spoiled! San Diego Comic-Con Spoiled Rotten Style! Game of Thrones S07E02 gets spoiled! Game of Thrones S07E01 gets spoiled! War for the Planet of the Apes gets spoiled! Ben & Daniel draft a 10 character team each to do battle! SPOILER ALERT! Alien: Covenant is way better than Prometheus! Guardians of the Galaxy Vol. 2 gets spoiled! Fast & Furious 8 gets spoiled! Shane (LDF Podcast episode 69) helps Daniel dig deep into Legion the show and comic book character. Other comic book movie/tv show properties are discussed at length! We've helped the DCEU story wise now we want to recast it! Ben & Daniel tackle Iron Fist & Power Rangers then catch a break and get to actually see the Justice League Trailer! Logan gets reviewed and spoiled! 40: What to do with DCEU? What are we going to do with this thing we call DCEU? Welcome back for another year of being spoiled! The final episode of the year means we spoil Rogue One: A Star Wars Story! Aidan (The Game of Thrones episodes) returns to spoil Westworld all episode long! We spoil the 4 Night Arrowverse Crossover extravaganza! We finally get to spoiling Netflix's Luke Cage! The new Denzel/Pratt movie gets magnificently spoiled! We discuss returning & new Comic Book TV Shows! We got so caught up just talking about news about Star Wars, MCU, and the DCEU! Does Suicide Squad really count as another DCEU flop? Ghostbusters (2016) gets spoiled with special guest Ian (ianrayburn.com) all episode long! We tackle the version of Batman v Superman: Dawn of Justice that should have been in theaters. 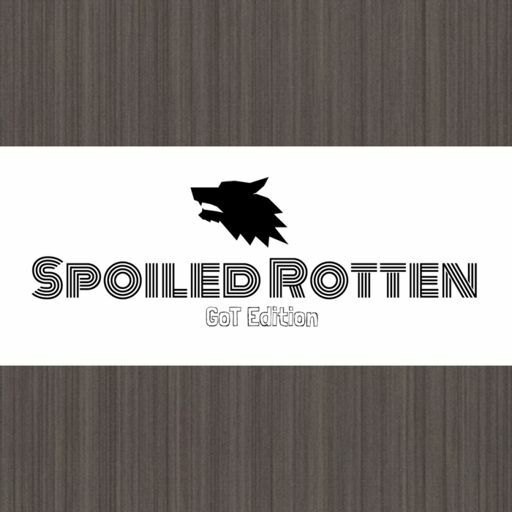 Game of Thrones S06E10 gets spoiled! We say good bye to this fun experiment! A lot to talk about this week! GoT Edition #9: "Battle of the Bastards"
Game of Thrones S06E09 gets spoiled! GoT Edition #8: "No One"
Game of Thrones S06E08 gets spoiled! What's really going on with these Rogue One rumors? We get to the bottom of it! GoT Edition #7: "The Broken Man"
Game of Thrones S06E07 gets spoiled! GoT Edition #6: "Blood of My Blood"
Game of Thrones S06E06 gets spoiled! The final instalment in the First Class trilogy is here and we spoil it! GoT Edition #5: "The Door"
Game of Thrones S06E05 gets spoiled! GoT Edition #4: "Book of the Stranger"
Game of Thrones S06E04 gets spoiled! Game of Thrones S06E03 is spoiled! Ben & Daniel spoil Captain America: Civil War! Game of Thrones S06E02 gets spoiled and theories based on the books get discussed. GoT Edition #1: "The Red Woman"
Do you like listening to spoilers about Game of Thrones? Do you want to dig into episodes with someone who has read all the books and someone who refuses to? You'll love Aidan & Daniel then! Pre Civil War we rank MCU Films Worst to Best and give our thoughts on whitewashing in Hollywood! Spider-Man showed up in a Civil War trailer and we get all sorts of excited. Ghostbusters' trailer doesn't fair so well. With no huge release this week to talk about, we speculate on the affect Deadpool's success will most likely have on upcoming Comic Book Movies. We're back in 2016 with No rumours/news this episode. But, we're still talking about The Force Awakens and future Star Wars installments while sounding off on #OscarsSoWhite! It's almost like this is what we were always building towards! We rush through trailer breakdowns and rumors to get to the Poe, Finn, Rey, & Co. show! We dig deep into the BvS & Civil War Trailers and finally spoil Jessica Jones! Was the Spectre "twist" worth it? Was the love story earned? These answers and a whole lotta rumors/spoilers in this episode! Star Wars fever has hit & Hulk has hit Ragnarok so that's mostly what we spoil in this episode! Realistically this is a breakdown of the only comic book shows we're watching Gotham, Flash, and Arrow. Get caught up on all the episodes on TDFeverything.com! In addition to spoiling Terminator Genisys, Ben & Daniel continue Kanye talk by way of the band Slipknot and discuss the "friend zone" so much TDFeverything.com fun to be had! We get down to ranking "all" the Batman films! The third episode is about Spider-Man... but also The Flash, Civil War, and Super Girl! Enjoy! We are back with another TDFeverything.com hit! In addition to Suicide Squad, Batman v Superman, and Arrow/Flash we talk more about Marvel and DC's Legends of Tomorrow trailer! 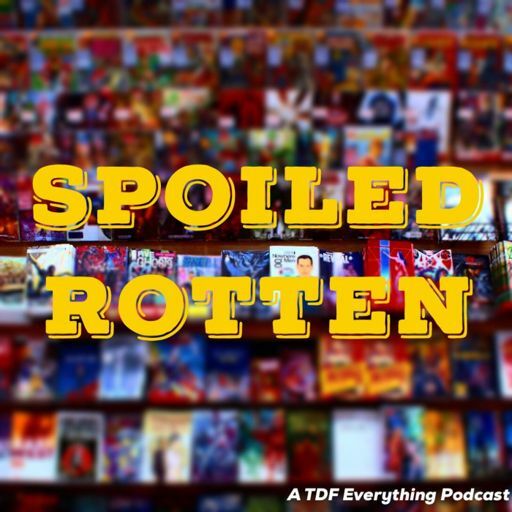 The first episode of the newest TDFeverything.com podcast called Spoiled Rotten. This week Ben & Daniel spoil the Netflix series Daredevil and Avengers: Age of Ultron!